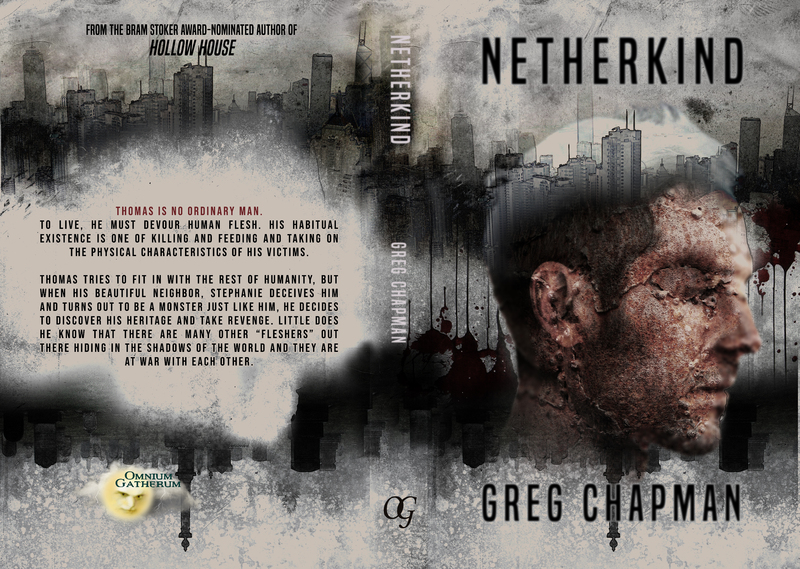 I’m proud to announce the news that Omnium Gatherum books will be releasing my third novel, NETHERKIND in May! This is my first foray into urban dark fantasy and is a work I’d dipped into on and off over the past decade. It’s also the longest thing I’ve penned so far, at just over 85,000 words. It’s a pretty deep and meaningful work: an exploration of whether a monster can have a soul and a destiny that means something beyond killing. That we’re more than just flesh. It’s full of shape-shifting creatures, flesh-eating creatures, occultists, bounty hunters, all centred around an underground war and a soul-searching cannibal with a conscience. It was originally an unpublished short story that I expanded into a novel. 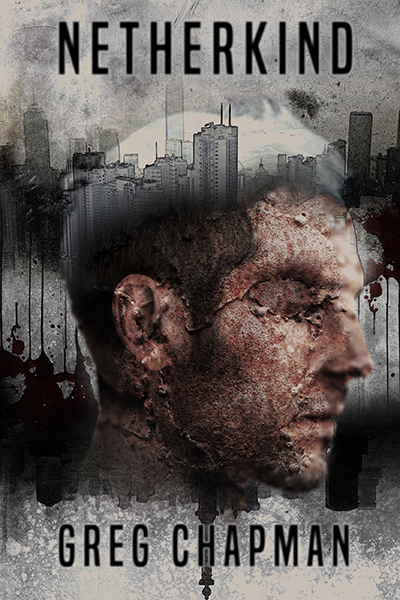 I also created the cover art and I also had a real blast putting it together. I’m also really glad to be working with Omnium Gatherum again. They published my debut novel Hollow House in 2016 and also re-released my novellas The Followers and Torment last year. You can pre-order the paperback now via OG’s website HERE, or the Kindle version HERE. I hope you’ll give it a whirl when it comes out on May 6. This entry was posted in Uncategorized and tagged horror, Netherkind, novel, novella, omnium gatherum books. Bookmark the permalink.